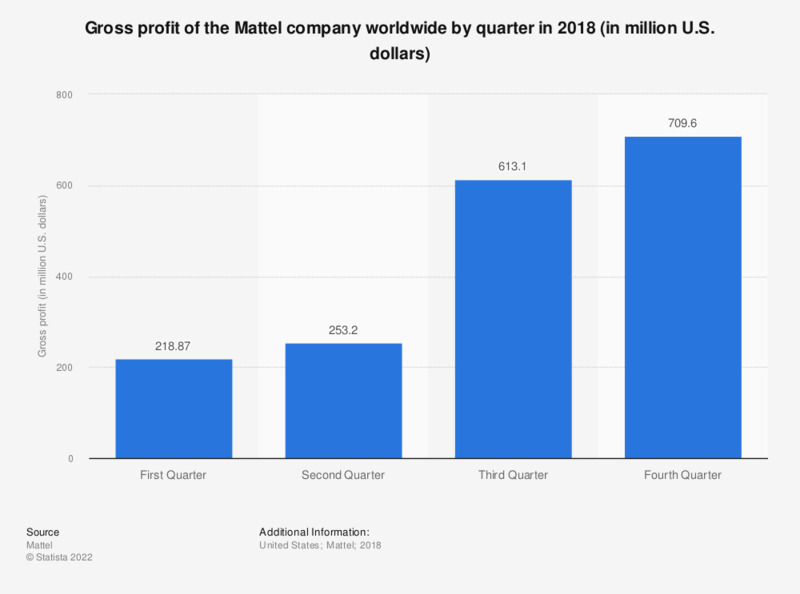 This statistic shows the global gross profit of the toy manufacturer Mattel by quarter in 2018. In the first quarter, gross profit came to around 219 million U.S. dollars. On average, how much money do you spend on christmas per child?